But I did, like so many people out there, attend the midnight premieres to the Prequel Trilogy. It, in my opinion, doesn’t stand up to the Original Trilogy but it did satisfy the Star Wars nerd in me especially after not being on the silver screen for so long. And now, come 2015, we are on the verge of a new trilogy for a new generation of Star Wars fans (including my son, Aiden Marcus). And that’s exciting! To be honest, I didn’t know where to start when attempting to write about Star Wars. The canon is so vast and property is so well-known. But since Star Wars Celebration Anaheim a few months ago, I’ve been immersing myself with whatever Star Wars material that I can get my hands on. Let me go back. I’ve been a huge Star Wars fan for a long time. And I’ve been familiar with the costuming group the 501st who represent at conventions and charity-centric sporting events. So my love for the Wars stems from years and years of watching the movies, collecting the action figures and ships, and reading the Dark Horse comic stories (before Marvel took over and began releasing the newest titles). Which leads me to this post. As a fan, I’m legitimately excited for what J. J. Abrams can offer us in this new trilogy and happy to have Star Wars be relavent again in pop culture. I’m especially enjoying what Marvel is providing in comic form, including Star Wars, Princess Leia (which already completed its 5-issue run), Darth Vader, Lando, and the upcoming, Chewbacca. I’m not going to review those books in this post but nonetheless, I suggest checking them out if you’re a Star Wars fanatic like me! But the writing is on point and having my favorite characters play out a new story (or story within an already told story) is awesome. And since these characters are so iconic, I’m so happy that Jason Aaron (Star Wars), Mark Waid (Princess Leia), and Kieron Gillen (Darth Vader) is portraying them the way I remember them act on screen. There are also a few books that I’ve read that continue the Star Wars story lines as well. 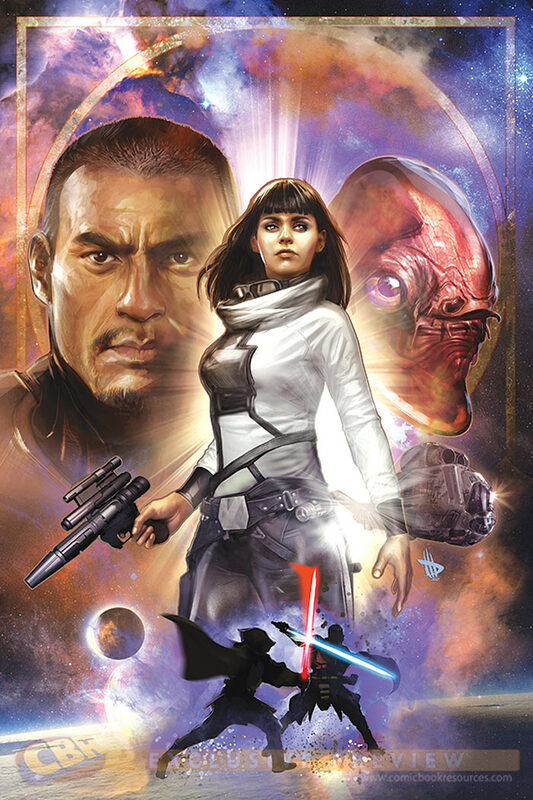 One focuses on Ania Solo, the descendant of Han Solo and Princess Leia, who plays out a pretty good multiple issue story arc in Star Wars Legacy II published by Dark Horse comics. The book I’m currently getting through right now is Star Wars: Knights of the Old Republic and am deep into the 2nd Omnibus. 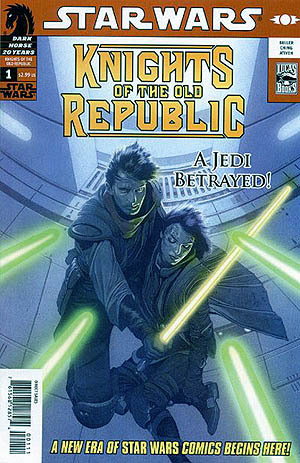 This collection of stories follow a young Jedi named Zayne Carrick and set during the Mandalorian War. As a supporter of all things Mandalorian, this definitely satiates my love for that space culture but it also dives into an interesting and intriguing story fit for the Star Wars world. Plus, there are a slew of other Star Wars properties including novels that are out there that any Star Wars fan can pick up and space-jump into more stories. 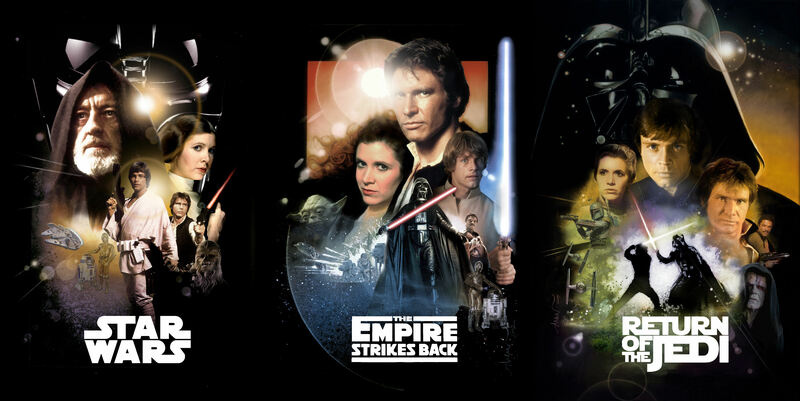 But be aware that a lot of these stories may not fall into canon, so if you’re looking for stories that contribute to the Star Wars canon, check out the canon timeline here for titles to check out. As I wait for December and the long awaited release for Episode 7, The Force Awakens, I know it will be tough but I’m comforted in the knowledge that there are a lot of stories I can pick up and read. Until then, May the Force be with you.